The recent arrest of a Somerville cab driver on drunk driving charges in the middle of a snowstorm illustrates the need for better supervision of the taxi industry in Massachusetts and highlights the rights of motorists in the wake of a Boston taxi cab accident. A Boston personal injury lawyer should always be consulted when a citizen is seriously injured or killed in a taxi cab accident. In this case, the Massachusetts Department of Public Safety reports the cab driver was extremely belligerent when found by police with his cab stuck in a snowbank on Soldiers Field Road. 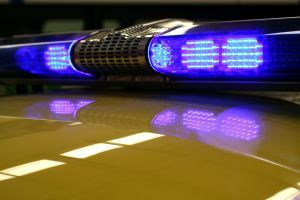 Massachusetts State Police responded shortly before 5:30 a.m., in the midst of a Nor’easter, to find the driver behind the wheel of the running cab in the area of Leo Birmingham Parkway. The 25-year-old East Somerville cab driver refused to identify himself and was ultimately identified through the cab company. He became argumentative and told troopers that he was walking, and then that he was a passenger in the cab. He also said he had crashed into a snowmobile. At one point during the booking process, the cab driver put his fingers in his ears and repeated in a sing-song voice that he could not hear the officers informing him that he was under arrest. He was charged with operating under the influence of liquor and refusing to identify himself. If you have been injured in a Boston car accident, contact Boston Injury Attorney Jeffrey S. Glassman for a free and confidential appointment to discuss your rights. Call 877-617-5333.